Examples, videos, worksheets, and solutions to help Grade 8 students learn about congruent and similar figures. The following diagrams show the similarity transformations: translation, reflection, rotation, and dilation. Scroll down the page for more examples and solutions. An explanation of the difference between similar and congruent shapes with a pre-image and an image. What makes two shapes similar but not congruent? 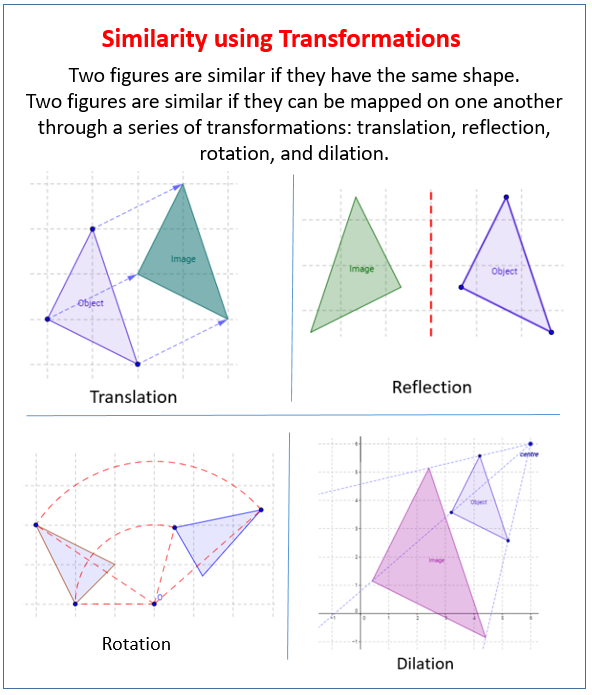 Two figures are similar is they can be mapped on one another through a series of transformations: translation, reflection, rotation, dilation.